Last week's gubernatorial election in Jakarta saw Governor Basuki Tjahja Purnama, better known by the sobriquet ‘Ahok’, dumped from office in favour of Islamic intellectual Anies Baswedan. The campaign became heavily polarised along religious and racial lines after Ahok was accused of and then charged with blasphemy in late 2016. Hardline groups convened mass demonstrations as religious leaders proclaimed Muslims were prohibited from supporting non-coreligionists for higher office (Ahok is an ethnic Chinese Christian). In the build-up to the poll, some framed the contest as a test of Indonesia’s religious pluralism and brand of ‘moderate’ Islam. Some even griped when, on the day after the election, US Vice President Mike Pence rolled out the standard chestnut about the inspiration that is the nation’s tradition of ’modern Islam’. Last week, I published an op-ed in the Sydney Morning Herald arguing that the election told us less about a monolithic rise of conservative political Islam than it did about competition and instability among political elites. Although the tactics used against Ahok were ugly, it is important to step back and recognise the frankly remarkable nature of Indonesia’s democratic consolidation during the last two decades. Like it or not, this would have been impossible without political elites’ modus vivendi accepting free and fair direct elections as the means of deciding questions of leadership. Previously, dirty campaigns happened, but the vanquished always packed up and headed home once a decision was clear. Even revelations of the Constitutional Court selling decisions on contested local elections have failed to dent the overarching social compact in favour of democracy. Wednesday's election, however, raises serious questions about the elite's commitment to the democratic process. Of course major opposition figures, the bankrollers of the mass demonstrations that prompted Ahok's blasphemy trial, got what they wanted – an Ahok defeat. Ahok, for his part, quickly accepted the result, not even pursuing the relatively standard practice of filing a Constitutional Court challenge. Isn’t this everyone packing up and heading home after an election? Yes and no. The flipside is to ask whether the matter would truly be over if last Wednesday’s result had fallen in Ahok’s favour. I think not. There would have been further demonstrations, though we can't know the scale without some guessing about the willingness of opposition figures to open their war chests. The delay of state prosecutors’ sentencing request for the day after the election says it all: Ahok would almost certainly not have been able to simply waltz back into the governorship. Following the fortuitous delay, and with the election result known, prosecutors only sought two years probation, rather than the maximum sentence of five years imprisonment. Crucially, five years is also the threshold that disqualifies regional heads from office. In advance of the verdict, Ahok will enter his defence on 25 April. Some have also questioned my claim that Baswedan has established himself as a presidential contender for 2019, and will fancy himself to replicate President Jokowi’s playbook of using Jakarta’s top job as a platform to raise his national profile in advance of a presidential run. Many apparently see this as incompatible with strong indications that Prabowo Subianto, chairman of Gerindra, the lead party among the coalition of parties that backed Baswedan, wishes to run again for president after losing to Jokowi in 2014. I agree, Prabowo would almost certainly like to run again. Baswedan’s victory is evidence of his influence as a political kingmaker (his fingerprints are all over the last two Jakarta elections), as well as the institutionalisation of Gerindra (still a relatively young party) as a machine for winning elections. It is worth remembering, however, that Prabowo has a poor track record in terms of keeping his political projects under the Gerindra banner. President Jokowi, who was nominated and then largely bankrolled by the Gerindra machine for Jakarta’s governorship in 2012, is the quintessential example. But even Ahok, Jokowi’s running mate and previously a regent and then a national legislator from Gerindra, did not hesitate to go rogue when his own political brand came into tension with that of Prabowo and the party. There is no reason why Baswedan could not also fly the Gerindra coop, especially as he has no prior affiliation or reason for particular loyalty to the party. 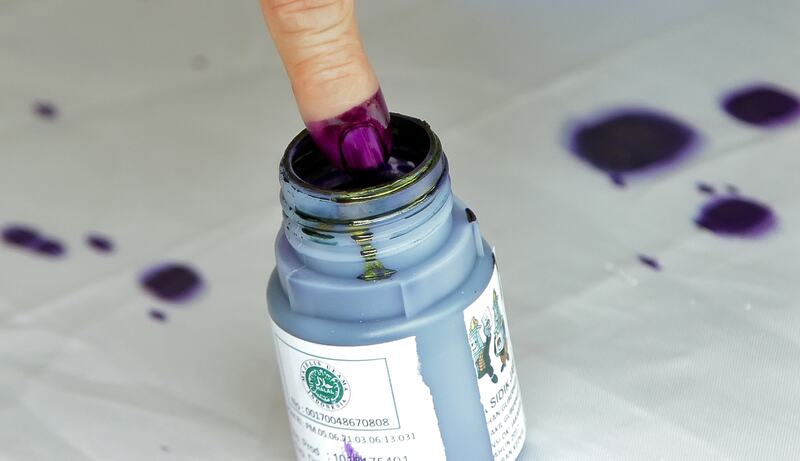 By now we have extensive evidence that Indonesian voters are relatively unconcerned about political parties, nominating coalitions, or vice-presidential picks when it comes to direct presidential elections. As was the case with Jokowi, popular and media-friendly leaders can quickly rise to prominence on the national stage and then effectively shop around for the best deal. Prabowo may want a rematch with Jokowi, but there’s no reason that Baswedan must toe the line. Such an assumption also overlooks a host of other factors yet to be determined, including health, electoral rules, and campaign funding. The latter is particularly important, especially following the heavy costs of his 2014 defeat. Should Jokowi remain popular, the costs of funding another campaign which Prabowo would probably lose may prove too much and create openings for other contenders. The Ankara assassination is the most shocking but perhaps the least concerning in a perverse sort of way.